If you are investing or trading, you would need to declare your profits and losses for the financial year (FY) while filing your income tax returns (ITR). All equity investments under the head of capital gains, intraday equity trading as a speculative business, and derivatives trading as non-speculative business income. Check out the Varsity module on Taxation for detailed information. For stocks and equity mutual funds, any gain realized by exiting within 1 year is called Short term capital gain (STCG) and is taxed at 15%. Any gain made by exiting those which are more than 1 year old is called Long term capital gain (LTCG) and is taxed at 10% above Rs 1lk of LTCG per year (from FY 18/19). For debt instruments (other than listed bonds), the holding period has to be 3 years to be considered as LTCG. Taxes are to be paid only on realized profits, and you can’t net off unrealized losses on your holdings to reduce your taxes. The act of selling stocks with unrealized losses to reduce the tax outgo on your realized capital gains is called tax loss harvesting. On your Console, we have a tax loss harvesting report, that not only lets you see if there is a tax loss harvesting opportunity in your account but also lists out all holdings with unrealized losses for you to sell and reduce your realized capital gains and hence your taxes for this financial year. Once sold, the tax loss harvesting report will get updated by the end of the day. The client has Rs 2lks in STCG and Rs 1.5lks in LTCG. Taxes to be paid on this would be Rs 30k (15% of Rs 2lks) for STCG and Rs 5k (10% of Rs 50k), Rs 35k in total. This can be reduced to 0 by selling securities listed in the report. Select stocks and sell to the extent that realized capital gains in the account becomes zero. Do this before March 31st, 2019, the last day of FY 18/19 to reduce the tax outgo. You would see two values. The overall tax loss harvesting opportunity shows to the total extent stocks can be sold with unrealized losses (across Zerodha demat and your other accounts). Tax loss harvesting opportunity in this account indicates to the extent stocks with unrealized losses can be sold within the Zerodha account you hold, if you don’t hold any other account, you have to look at this figure. If you don’t have realized gains, this report will say no opportunity found. Want to continue holding the stock? Sell the holdings, book the loss to the extent of realized gain you have. Buy it back the next trading day. This is the most compliant way to execute but carries an overnight risk in case the stock price moves up. Sell the holdings on one exchange (NSE or BSE) and buy it back from another at the same time. At Zerodha, all such trades are settled with stocks moving out of your demat and then getting credited back (hence considered different delivery trades). There is no price risk following this method, but a little grey in terms of compliance (there’s no specific regulation in India which says loss can’t be harvested this way, but some developed markets don’t allow this). Do consult your CA and verify the P&L reports before taking any action. Grandfathering clause which allows considering higher of buy price or stock closing price as on 31st Jan 2018 (as per Union budget 2018) to consider long term capital gain is not factored in. Actual buy price has been considered while determining long term capital gain. Also, the first 1lk of LTCG is tax-free, it hasn’t been considered while calculating the long term tax loss harvesting opportunity. 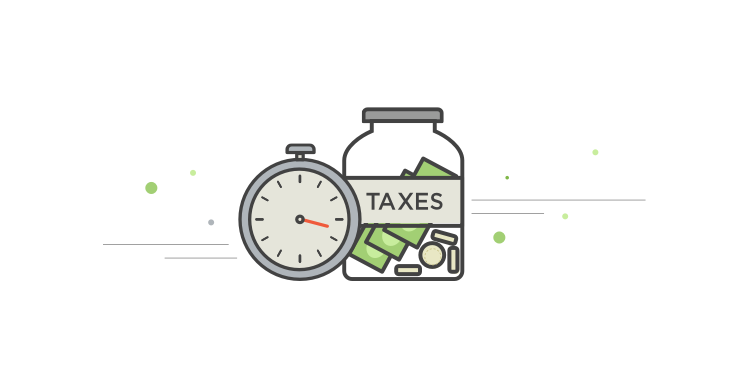 Tax loss harvesting is a great way to optimize your portfolio returns. Make sure to let your friends and family know. I want to know If i have losses in trading how do i carry forward those losses i have booked losses in both F&O and equity trading. Short term losses can be set off against short term profits and long term profits and can be carried forward for 8 years. You have to include this when you’re filing your IT returns. Just wanted to know if I have made losses on intraday trading, can they be set off against equity trading profits by selling off stocks? Intraday trading is considered as speculative, and speculative losses can only be set off against speculative profits. You won’t be allowed to set it off against short term or long term profits. Check out this module on Varsity for more. For tax loss harvesting, can I buy first at BSE and then sell my existing shares at NSE, which are in loss? If my realized profit is negative. can I claim that loss to save the income Tax while filing the return. How to losses my demat a/c after sold any share. And also sms enter to debited but why. I am waiting for replied. I beginner has to pay tax? Anyone who earns an income in India is liable to pay tax. kindly go through our taxation module on Varsity to understand every aspect of taxation for traders and investors. So we can purchase the stock next day, don’t have to wait for T+2? Yes, you can purchase the stock the next trading day. These are 2 different delivery transactions and the movement of stocks will anyway happen in your demat account. Please make the report or video for the , how i can calculate the Short term capital gain and long term capital gain from Zerodha P&L tax report . You can refer to this article to know how to download the tax p&l report from Console. The tax p&l will have the short term and long term gains/losses. If i have a realized loss 100000, Can I claim this on my IT return that I submit every year for my Salary ? If it is a capital loss, then you can carry forward the loss to the next 8 years and set it off against the capital gains realised in each of these years. Read more here. Actually my STCG is very less, its around 6500/- even for this amount shall i pay the tax, or is there any minimum amount (of STCG) above which tax to be paid. please do the needful. This information, I was searching all over the net few days back. Thanks a lot for sharing team Zerodha. In fact, I need more information in terms of how to reduce the STT and other exchange related charges and taxes. When calculating taxes on capital gains, STT can’t be added to the cost of acquisition or sale of shares/stocks/equity. Whereas brokerage and all other charges (which includes exchange charges, SEBI charges, stamp duty, service tax) that you pay when buying/selling shares on the exchange can be added to the cost of the shares, hence indirectly taking benefit of these expenses that you incur. You can go through our taxation module on Varsity for more information. I am a beginner, i want to pay tax. but in this two month i loss my money 10,000. Don’t know how to get back this loss. You can set off this Rs 10000 loss against your profits and this loss can be carried forward for 8 years. You can read more about taxation for traders here on Varsity. Please let me know that tax have to pay on realised profift or net realised profift. As per zerodha console. You will be liable to pay taxes on STCG, LTCG and speculative profits. You can find this amount in the Tax P&L reports on Console. I have losses more than my profits. Do i have to pay taxes for this profits. It’s unlikely. Please go through the Markets and taxation module on Varsity for a better understanding. Grandfathering clause which allows considering higher of buy price or stock closing price as on 31st Jan 2018 (as per Union budget 2018) to consider long term capital gain is not factored in. Where can we get this calculated ?? You can find it in the trade wise Tax P&L report on Console. Check out this support article. i think, it means if you sell a stock which is being traded at a lower value at present than the value in which you purchased it, this amount off loss will cut off the amount you have realized (as a profit) during the year and thus you will have lesser or zero amount net profit (realized gain-realized loss) on which tax is going to be calculated on 31/03 each year. Can you please clarify why the report does not contain the profit/loss from MCX futures? The STCG/LTCG is applicable for this too – correct? Could you please re-try. If the issue still persists, create a ticket here. If i have LTCG on one hand. How do i calculate LTCL ? Case i – if purchase price is below Grandfather Price ? (Market Price is lesser than Grandfather Price. If yes can i get LTCL set off against LTCG? No. If market price is lesser than Grandfather price, you’ll have to compare the grandfather price with the purchase price. Only actual realized LTCL(buy price – sell price) can be set off against LTCG. Check out this post on TradingQ&A for more. I am not able to get the difference between “Overall tax-loss harvesting opportunity” and “Tax-loss harvesting opportunity (for this account)” , i have only one demat account, so how i see the difference in the tax loss harvesting opportunity? Can I have more detailed information available, any where? A significant no. of our clients have multiple demat accounts mapped to their trading account. This distinction is meant for such cases only. If you have only one demat account, the amount will be the same for both. Surprisingly, I see different amount. how can i know, if multiple accounts are mapped to my surprise. Please create a ticket here. Our support rep will help you out. 1. After selling off in this FY ( 18-19 ) , is it necessary to purchase again in the next FY ( 19-20 ) or we can purchase again in the this FY (18-19 ) itself ? 1. You can purchase it back either in this current FY or the next as per your convenience, repurchase of the scrip has no impact on the tax harvesting. 2. Yes, the grandfather clause has been considered on the tax P&L available on console. I got. Profit in 2 shares is 500000 and loss in 1 share is 600000 how much it return I pay..? You can set off short term capital losses against Short term and long term gains. This loss can also be carried forward. Refer to the Markets and taxation module on Varsity for more. I deals in cash as well as f&o (equity and currency) . There is STCG of 3lk in cash, 25k in currency and loss in equity f&o of 4lk. Than how the tax calculated. Check out the Markets and taxation module on Varsity. It has comprehensive explanation regarding tax calculation for traders and investors. ZERODHA please don’t confuse …. As you emailed I checked the Console …. it says there is opportunity for tax loss harvesting, I was happy. But, what Console says is wrong…. You can not adjust Long Term Capital Loss with Short Term Capital Gain ZERODHA. The tax loss harvesting report only shows your tax loss harvesting opportunity i.e your short term and long term capital losses. You can use this to set off your STCG/LTCG accordingly. Even I’m over all in loss still i have to pay the tax??! 2nd question : what if i sell stock and again buy it within a minute on same exchange? It’s unlikely you’ll have to pay taxes if you’re making losses overall. You can set of these losses against profits and these losses can be carried forwards and set off against future profits as well. Check out the Markets and taxation module on Varsity. If you sell and buy it immediately on the same exchange, it will be considered as an intraday trade and tax loss harvesting won’t be applicable. I meant older and newer trades within same stock. Just for the sack of discussion let’s assume I have only one script in my entire account which has LTCL ( Older trades. More than a year old ) and STCL ( Recent trades. Less than a year) as well. I am also having the same issue . I am a salaried employee who do trading as well investment in stocks. I am currently in 20 percentage tax slab as per by salary. I have profit through trading and investment. Do I have to pay tax on the profit as per my income tax slabs or do i need to pay as per the tax percentage on short term /long term investment tax. I have loss of 3 lack in intraday in F&O still i have to pay taxex? how to calculate it? Please go through the Markets & taxation module on Varsity, which explains this in detail. i have made profit but if i don’t sell stocks Will i liable to pay taxes. If by ‘made profit’ you mean unrealized profits, then you’ll not be liable to pay taxes. If the profits made are realized, you’ll be liable to pay taxes. Can I sell the stock from different Demat account (say icicidirect) and on sameday buy it back from Zerodha. Will the loss incurred be used for tax-harvesting? It’s a grey area. Although you’re doing it from a different DEMAT account, there is a possibility, that it can be construed as speculative, as you’re selling the stock and buying it back the same day. Instead, you can buy the same stock from a different exchange (assuming it is traded in both NSE/BSE) or sell it and buy back the next day or after T+2. Thanks for the reply, but i believe for intra-day STT should be 0.025% and for delivery based it is 0.1%. So when we sell from a Demat provider and do not buy from same Demat provider, they deduct 0.1% as STT and not 0.025%. And on same day if we buy same stock from another demat provider they will also deduct 0.1% as STT (and not intraday STT of 0.025%). So based on STT deduction isn’t this qualified as delivery transaction instead of speculative one. Selling it from one DEMAT and buying in another on the same day is a very hacky way to do this. It is a gray area and I think its best if you consult a tax expert regarding this. Hi Team, Do I need to pay 20.23k tax ? Why do I need to pay as I am in loss around 3.43L.Is there any way to avoid paying 20.23K. You can set off your short term capital losses against your short term gains & long term gains. Refer to the Markets and taxation module on Varsity for a clear understanding. Can I offset my realized STCG with realized long term capital losses? This is explained in detail in Varsity. Check out the Markets and taxation module. Tax loss harvesting is applicable to equity only. Check out the Markets and taxation module on Varsity for more. Please arrange to show details regarding ‘short term’ or ‘long term’ for particular stock in our portfolio in holdings page. we have a filter on console holdings page which can be used to show only long term holdings or pledge holdings. 1. Can Short Term Capital Gain & Loss be adjusted against Long Term Capital Loss & Gain? 2. Can Long Term Capital Gain & Loss be adjusted against Short Term Capital Loss & Gain? 3. After 31/01/2018 (Grandfather Clause), can Long Term Capital Loss be also carried forward for 8 years? 4. Can Short Term Capital Loss from Equities (Stocks or Equity Mutual Funds) be adjusted against Short Term Capital Gain from Debt Mutual Funds? 5. To calculate Long Term Capital Loss, the formula will be: LTCL = Selling Price – (Higher of Purchase Price OR Stock Price on 31/01/2018). 6. Will the Stock Price on 31/01/2018 for Tax P&L purpose be the Highest Price of the Stock or Closing Price of the Stock on 31/01/2018? Also, can this Stock Price be considered only on NSE or either of NSE or BSE? I am getting “Tax-loss harvesting opportunity not found”. What does this mean? It means that you guys don’t have Long term or short term unrealized losses which you can use can use to set off against your capital gains. i am getting salary and tds got deducted for that and i am paying income tax for that every year , but in this financial year , apart from that salary 5 lakhs + i have some third party deposit which is nearly 80,000 total from different people’s through google pay (tez app) ; is it taxable for 80,000 rupees? I am a beginner and i have query regarding this methodology of saving tax by booking losses. Tax saved after tax harvesting is Rs 270-150 : Rs 120 only .For this how is it beneficial to book loss of Rs 800 by selling stocks.??? The idea is to sell those shares but buyback the next day or after 2 days, or the same day from a different exchange if the stock trades on both BSE/NSE. I have lost almost r morethen 3,00,000 rs. In F&O and equity in intraday trading and some times positional(3 days like) from last 6 months. From january 1st 2019 onwards I lost almost 3 lalhs .But I never filed tax before, bcaz I don’t have that much salary r income, so , Now I can take my tax amount which I paid in shares? If it is possible, plz tell how can I retrieve. Reply plz……….Tq. Please go through the Markets and taxation module in Varsity. This will help you plan your taxes better. I have migrated to Zerodha from another DP in late 2017 by transferring all my demat holdings of stock, which were bought much earlier to the implementation of LTCG & STCG. Now, I am unable to get the Tax Loss harvesting report from Zerodha since the price of the stocks as on 31st Jan 2018 is not recorded/considered/factored, as per the grandfathering clause. I have a long-term gain of say amount X, and since from Jan’18 we can offset LTCL with LTCG. So if I have another stock which I am holding for last 5 years and currently having X amount of loss can I offset it all as part of loss harvesting. Or I have to calculate the LTCL from jan’18 onward and can only offset loss incurred from jan’18 to present? Do Zerodha will deduct TDS on the realised profits from capital gains of trading account and deposit as per IT requirements. Zerodha does not deduct TDS. The onus of declaring the income and paying the tax is on the assessee. You may go through our markets and taxation module on Varsity to understand better. This message shows up if there is no loss harvesting opportunity in your account. The report shows up in case you are in net profit (STCG +LTCG). You can check your P&L statement verify this. How zerodha is able to “pull your other accounts”. I do not have any other dmat account in India. If I move my holdings with other broker/NSDL to Zerodha demat, how can I benefit from the tax harvesting report? I assume the cost of acquisition considered by your software would be the value at the day the stocks get credited in Zerodha Demat. Is there a way to modify the cost/date of acquisition? When you transfer in stocks, we do not update any cost of acquisition for it because we have no way to know your actual cost of acquisition and date of purchase. These stocks will remain discrepant and do not show any average price. You’ll have an option to enter the date of purchase and the cost of acquisition in our backoffice reporting tool Console. We have explained how you can enter the details in this support article. The tax loss harvesting report updates according to the details you have entered. Can anybody tell me what is the last date for tax loss harvesting, like when is the last that i can sell off my shares to benefit from this? You can sell by 29th March, which is the last working day of the markets in this financial year. Suppose I have a realised loss of 1 lakh & i am sitting on an unrealised profit of 70k so should i sell my unrealised positions so that next year i wont have to pay tax if I realise my profit? Short term capital losses if filed within time can be carried forward for 8 consecutive years and set off against any gains made in those years. For example if the net short term capital loss for this year is Rs.100,000/-, this can be carried forward to next year, and if net short term capital gain next year is say Rs.50,000/- then 15% of this gain need not be paid as taxes because this gain can be set off against the loss which was carried forward. You will still be left with Rs.50,000 (Rs.100,000 – Rs.50,000) loss which can be carried forward for another 7 years. It is better you consult your tax adviser for more information on this. Missed to post loss of Rs. 2Lacs in FY17-18. Can this be filed during this year for tax benefit? You cannot derive any tax benefit out of losses in the previous financial year as this is already post the last date. You can, however, revise the returns for 17-18 to have these losses on paper. I have total 8000 STCG in this Financial year. My unrealized loss is around 60000 Rs. Now for tax harvesting should i sell any stocks belongs to long term capital loss ? Can Short term capital gain compensating by Long term capital loss for tax harvesting. You can not offset long term capital loss (LTCL) with short term capital gains (STCG). STCL can be offset with STCG and LTCG, LTCL can be offset with only LTCG. If ,i sell my EQUITY shares between 365 day ,,then what AMOUNTS OF tax i have to paid??? Can anyone please suggest if LTCL be set off against STCG? I earned 37k as STCG, however I booked losses as Long term capital (20k on equity stocks & 5k on mutual funds), can I set off these losses against my STCG or I will have to pay 15% taxe on 37k STCG? You can go through this chapter on Varsity for more info. Sir i am zerodha customer. Sir i have a suggestion for betterment of console as well as for investors who invest through your platform. Sir console should also show dividend earnings of holding stocks. So invester could get real picture of earnings of his/her Investments. Rajeev, this is on our list of things to do. Will be made available soon. Hi, I’ve taken a personal loan to invest in the market. From my ‘research’, I found that if I can show the entire amount is invested in the stock market (which is the case for me), I can offset the interest amount (not principal amount) against any profits earned and if not earned, carry forward the same to the next year. However, the rule on this does not seem to be very clear (and unfortunately I forgot the reference number having read about it many months back). Can you provide advice (hopefully confirmation) on this, or recommend someone who could provide advice on this, or if you have a “Zerodha Tax Team” of sorts who will guide us for a fee (hopefully a competitive one), could you direct me to them? If you consider stock trading as your business then you can claim a deduction of the interest. On the other hand, if you want to benefit from the 15% Tax Rate for STCG and no LTCG tax upto INR 1 Lacs & 10% LTCG tax above INR 1 Lacs then you cannot claim a deduction of the interest. Hope this Helps. For further elaboration, you could consult any tax expert. Cheers. I am salaried person and started trading also. In FY 2018-19 I got the profit 40k STCG. What type of ITR form should I fill? If you are an individual who only invests in the market (remember investor, hence capital gains), you need to use ITR2. If you are an individual who is declaring trading as a business income, you have to use ITR 3. If you are an investor and trader, you can show trading under business income and investments as capital gains on the same ITR 3 form. I have few stocks which are not traded anymore like KS Oil, Rei Agro etc. Since they are not traded, so i am not able to sell (at zero price) to book losses. How to get tax credit under this situation?